Welcome to Bullskin Twp. Elementary School! Well-rounded learning is the number one priority each day at Bullskin Twp. Elementary. Completely renovated in 1998, the school houses approximately 400 students in grades K-5. Students are engaged in a variety of learning tasks including the core academics such as math, language arts, science and social studies. 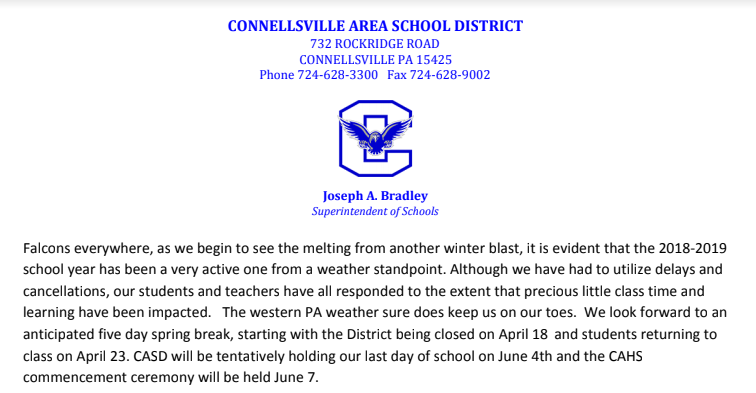 Superintendent of Schools, Joe Bradley, offers updates on Connellsville Area School District's spring happenings. 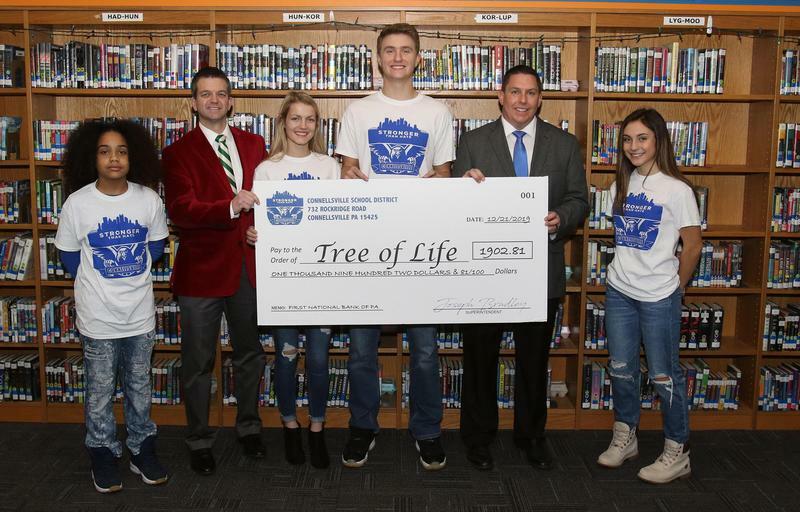 The Connellsville Area School District “Stronger Than Hate” fundraiser campaign raised $1902.81 for the Tree of Life Synagogue. 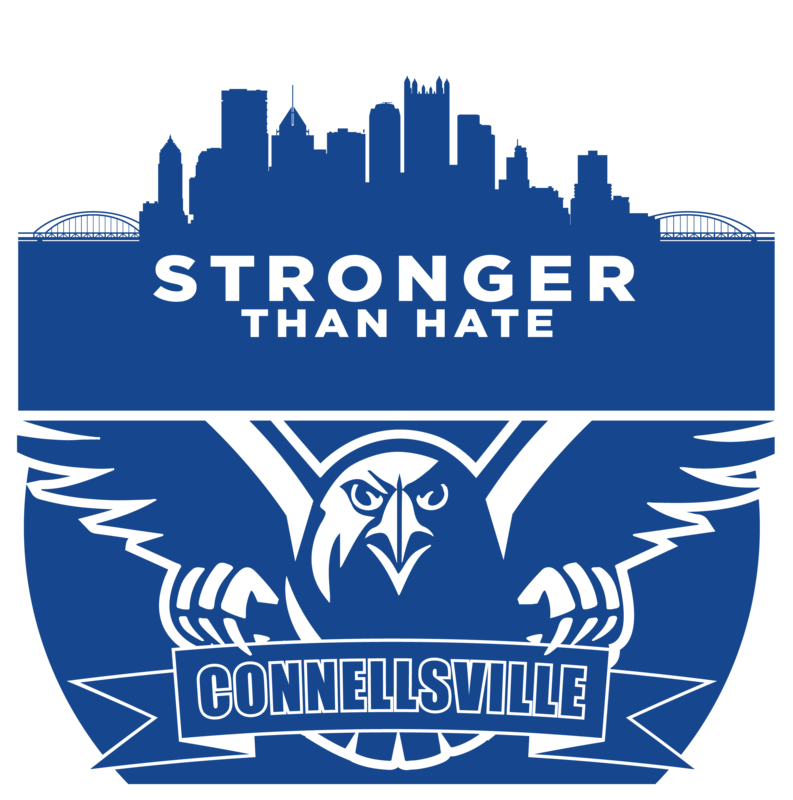 100% of the proceeds will be donated to the Tree of Life Synagogue Account through the First National Bank of Pennsylvania. T-shirts are $10. We are currently updating demographic data in our new student information system. Please complete this form so that our records will be current. 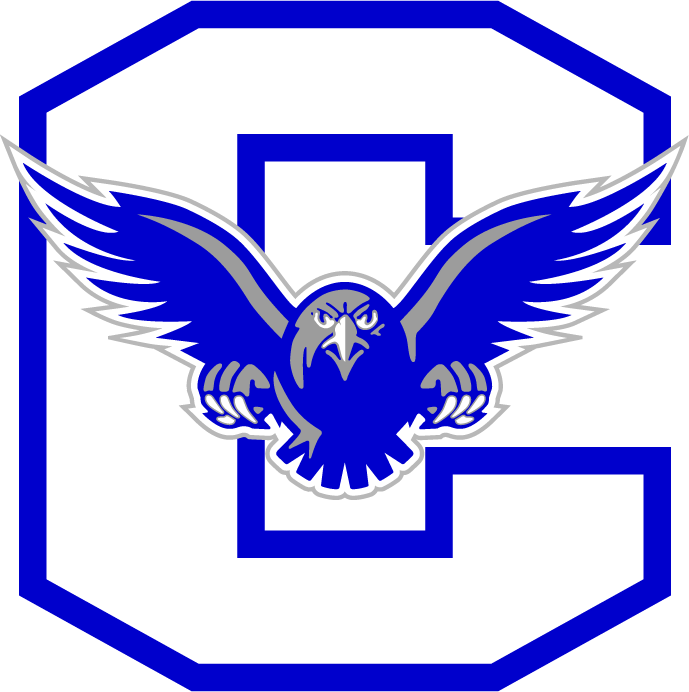 If there is no email address, parent/guardian will NOT have access to the parent portal.